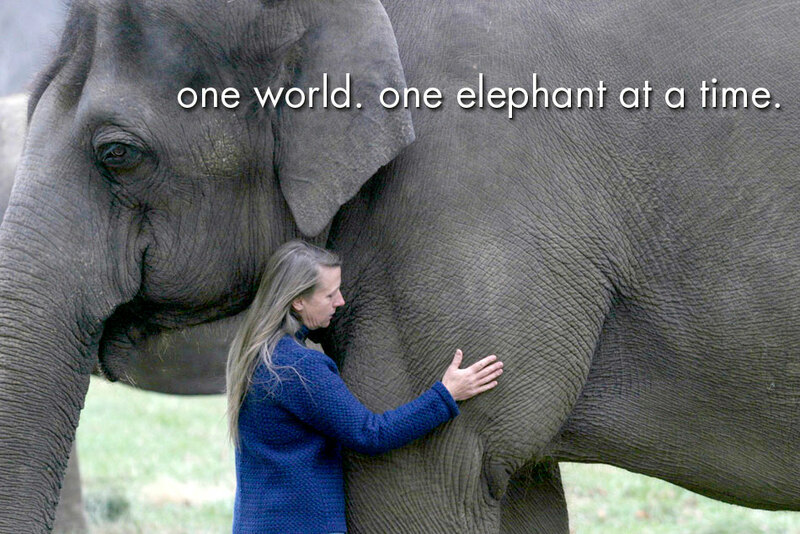 Carol Buckley, founder of Elephant Aid International embarks on the next phase of her vision. 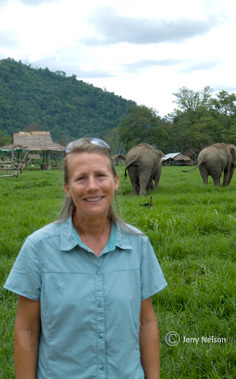 After fifteen years as CEO of the Elephant Sanctuary in Tennessee, building facilities and restoring twenty-four elephants to family and life in a natural habitat, Carol is taking her extensive knowledge and expertise to a wider stage. The need is great, both nationally and internationally, to continue the work of educating people about elephants. Combining her wealth of experience observing elephant behavior, designing management systems that enable caregivers to ensure that elephants receive the best care possible under humane conditions, and her keen insight into meeting the needs of elephants confined in captivity, Carol's collaboration with veterinarians, field researchers and behaviorists is a formidable catalyst for change. Captivity has its limitations, but those limits can always be challenged. Never one to simply accept that current circumstances can not be changed, Carol thinks outside of the traditional box of elephant care, educating herself in order to be inspired by each elephant's personal situation. No challenge is too great, no obstacle impossible to overcome when an elephant's welfare is at stake. Carol's strong belief that anything is possible combined with her dogged determination has helped her move mountains for elephant welfare. Such was true when she organized the unprecedented rescue of eight circus elephants. The rescue took two years and some said she would never succeed but Carol knew better. She never gave up on the elephants. Today these elephants are living out their lives in safe-freedom. Thank goodness Carol believed. Drawing from the prototype of the 2700 acre natural-habitat elephant sanctuary she co-founded in 1995, Carol will continue to inspire others to think beyond the barriers of their own experience to become instruments of change. Increased awareness and sensitivity will naturally lead to the acceptance of free-range elephant sanctuaries worldwide. To this end, she has created Elephant Aid International, a new nonprofit organization. 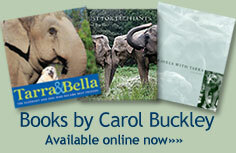 Stay up-to-date with Carol's activities in her blog ~ Elevisions. To improve the lives of individual elephants living in captive environments through education, veterinary care, improved management and direct assistance.